It is undoubtedly good news. The Strong museum of Play in Rochester, New York, has opened a World Video Game Hall of Fame to celebrate titles that have had a huge impact on the medium. The six initial inductees are clearly deserving of their inclusion. Pong, Pac-Man, Tetris, Super Mario Bros., Doom and World of Warcraft have all made monumental contributions to games as an artform and as an entertainment medium. They are also extremely familiar. Whenever the history of gaming is raked over, these are the legends that usually figure (although Space Invaders is notable for its absence – even though it was among the 15 finalists from which the final selection was drawn). LightWeight’s uncompromising fighting game did what few other Street Fighter or Tekken wannabes did: recognise that getting stabbed with a sword is pretty catastrophic. As a result, most strikes are fatal, while glancing blows to the arms and legs leave your opponent significantly handicapped. Although this severity was something of a dead-end for the genre, it influenced plenty of game designers to explore the concept of positional damage, enriching digital combat forever. Developed by Nippon Computer Systems for the Nintendo SNES, this 2D side-scrolling blaster perfected a number of mechanics and systems that would become staples of the shooting genre. It seamlessly hybridised weapons and melee combat, and brought in platforming elements – and all of this was enhanced by the superbly intuitive mech controls. The likes of Contra III, Guardian Heroes and Metal Slug get all the glory, but this cult gem was up there with them. Released on Sega’s first ever home console, the SG-1000, Girl’s Garden revolves around a young girl who must risk her life collecting flowers to impress her indifferent boyfriend. It’s either a chauvinist fantasy or a commentary on unequal teenage relationships, but it’s also a very early example of the dating sim genre, and the first project from programmer Yuji Naka who would go on to make Sonic the Hedgehog. The whimsical visuals are beautiful too, hinting at the delights to come from games like Harvest Moon and Animal Crossing. Although Dune II is often credited with creating the real-time strategy genre, it had numerous groundbreaking predecessors including acknowledged Mega Drive hit Herzog Zwei and this slightly lessor known sci-fi effort from the PC Engine console. 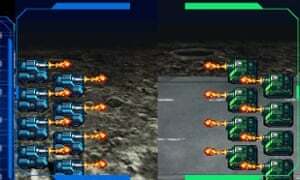 Players compete in turn-based battles against enemy vehicles which can be captured and re-purposed. As influential as most of its better known contemporaries in this space. Before first-person shooters dominated the gaming landscape, very early titles toyed with the same camera perspective with varying degrees of success. This early flight combat shooter from Imagine gave players control over a targeting reticule shooting at planes, warships and tanks to protect civilian refugees. It was simple but compulsive, and a key title from one of the studios that would dominate the home computer scene of the 80s. The phrase “point-and-click adventure” tends to conjure up memories of the classic LucasArts and Sierra titles like Secret of Monkey Island and Space Quest IV. 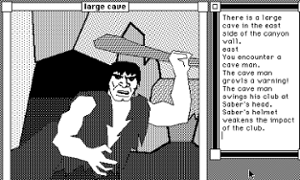 But they were proceeded by several formative titles, including this fantasy puzzler that let you use the Apple Mac mouse to click on and investigate objects. Earlier titles, including 1983 Japanese oddity Planet Mephius, laid down some of the gameplay elements, but it was Enchanted Scepters that made playing a game feel as natural as browsing a windows desktop.